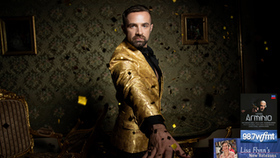 In recent years Max Emanuel Cencic has become recognised as one of the world's supreme countertenors. 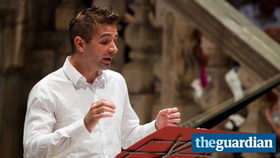 He first became known internationally as a member of the Vienna Boys' Choir, before launching his solo career in 1992 as a soprano, and from 2001 as a countertenor. He now performs at such major opera houses as the Vienna State Opera, the Theater an der Wien, the Bavarian State Opera, the Deutsche Oper Berlin, the Liceu, the Théâtre des Champs-Elysées and La Monnaie. His concert venues have included Laeiszhalle Hamburg, Carnegie Hall, the Barbican, the Concertgebouw, Vienna's Musikverein, the Tchaikovsky Hall Moscow, and Tokyo's Opera Nomori, with festival appearances in Ludwigsburg, Potsdam, Halle (Händel Festspiele), Spoleto (Due Mondi), Ambronay, Eisenstadt, and Dubrovnik. He collaborates regularly with such conductors as William Christie, René Jacobs, Ottavio Dantone, Diego Fasolis, Jean-Christophe Spinosi, George Petrou, Emmanuelle Haïm, Fabio Biondi and Riccardo Muti. Early milestones in his career included his Nerone (L'incoronazione di Poppea) in Basel in 2003, (Opernwelt: Best New Singer of the Year), and the Herald in the world premiere of Aribert Reimann's Medea at the Vienna State Opera in 2010. Especially noteworthy in 2011-12 were appearances at the Liceu, alongside Plácido Domingo, a US tour with Riccardo Muti and the Chicago Symphony Orchestra, and solo recitals at the Palais de Versailles, the Théâtre des Champs-Élysées, the Handel Festival in Karlsruhe, Zagreb's Lisinski Hall and the Onassis Hall, Athens. As Artistic Director of Parnassus Arts Productions, Cencic has been responsible for the conception, oversight and performance of important works of the Italian baroque stage, including the sensational rediscovery of Leonardo Vinci's last opera Artaserse. This was hugely important in his 2012-13 season, and, as in the original 1730 production in Rome, this was an all-male cast, featuring five counter-tenors. Cencic played the challenging role of Mandane, and was rewarded with rave reviews, both personally and for all concerned: at every venue from Paris to Vienna the performances received a standing ovation, and this production has now received eleven international awards, including two Echo Klassik (CD 2013, DVD 2014), as well as two 2 Grammy nominations. 2013-2014 saw a wildly successful tour of his Venezia programme in venues from St Petersburg to Montpellier, Cuvilliés-Theater (Munich) and a triumphant return to the Théâtre des Champs-Élysées, while other solo included the Grand Théâtre (Avignon), the Frankfurt Opera, the Salle Pleyel in Paris, and the Philharmonie in Cologne. He was the protagonist of Handel's opera Alessandro in a further major European tour, after the first performance of which in Versailles he was awarded the prestigious Arabella de Platine by forumopera in recognition of his outstanding performances during 2012. His extensive CD catalogue features several award-winners. 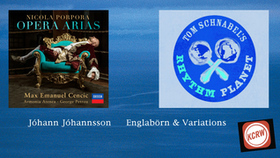 Faramondo (Virgin Classics 2009) received both a Diapason découverte and Diapason d'Or, amongst 11 awards. Mezzo-soprano (EMI/Virgin Classics 2010), a recital of Handel arias, received outstanding reviews, a prize from the French magazine Télérama, Croatia's Porin award, the Preis der Deutschen Schallplattenkritik and the Orphée d'Or (Académie du Disque Lyrique). DVD releases include Landi's Il Sant'Alessio, (Virgin Classics 2008), and Monteverdi's L'incoronazione di Poppea (Teatro Real, Madrid 2011). Both were conducted by William Christie, who also directed Cencic's acclaimed album Duetti (2011). In 2012 this, and a recording of Gluck's Ezio, , with Cencic as Valentiniano, both won Germany's prestigious ECHO Klassik prize. His lead performance in Decca's 2012 recording of Handel's Alessandro has already garnered six major awards, including Opera CD of the Year for 2013 from operaawards and Opera Production of the year on Mezzo TV. It was rapidly followed by the sensational discs of Vinci's Artaserse(EMI/Virgin Classics 2012 - ECHO Klassik 2013; now also released on DVD - ECHO Klassik 2014), and his virtuoso recitalVenezia (EMI/Virgin Classics 2013). Artaserse, Alessandro andVenezia have all been broadcast Europe-wide on several satellite TV channels. His recent solo recital debut disc for DECCA, entitled Rokoko and dedicated to the music of Johann Adolf Hasse, has already been awarded a Diapason d'or (arte.tv), a Diamant de l'Opéra and a Melómano de oro, and received rave reviews during its extensive performance tour (Opéra de Versailles, Metz, Bordeaux, Opéra de Monte Carlo, Bordeaux, Karlsruhe Opera, Istanbul, Cuvilliés-Theater Munich); this tour will continue next season. Of immediate and special interest is the recording of Hasse's Siroe, issued by DECCA in October 2014. In this, Cencic sings the title-role, but is also, and for the first time, stage director for a live production, which will tour Europe during the coming season, beginning in Versailles in November. 2014-15 will also see Cencic in further concert performances of Handel'sTamerlano (role of Andronico), and this production will appear on CD as well. Alessandro will tour again (Beaux-arts Brussels, Tchaikovsky Hall Moscow, Handel Festival Halle), while Rokoko will be heard in Karlsruhe, Istanbul, Metz, Monte Carlo, Bordeaux, Versailles and Munich, and Siroe in Versailles, Vienna, Moscow, Amsterdam and Budapest. It will be a busy year for recordings: a new solo CD Arie Napoletane, Handel's Radamisto (title-role), a glamorous Gala of Countertenors, and another unknown opera by Leonardo Vinci: Il Catone in Utica. 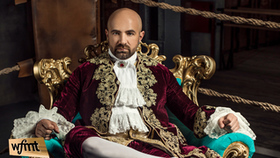 Max Emanuel Cencic's iconic status as a torchbearer for an entire generation of countertenors was encapsulated by his sensational performances in the title role of Vivaldi's opera Farnace, which he sang during the 2011-12 season at several prestigious European venues, with an even wider success on mezzoTV. 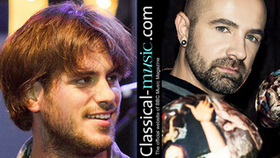 His recording of the work (Virgin Classics 2011) received rapturous critical response. The review in L'Opera was typical: "This aria [Ricordati che sei] would be enough to set the seal on Cencic's greatness, putting him right at the heart of the best of today's baroque singing and, indisputably, of the new countertenor era, setting standards as its leading light ... Mention must also be made ... of the tragic spirit invoked in Gelido in ogni vena by vocalism that is extraordinary, not only in passages where agility is the dominant factor, but which can also bring colour to the tragic tension of such moments, with an awareness of all the expressive possibilities of a countertenor voice, that owes its exceptional charisma to a roundness of tone unparallelled in voices of this type." 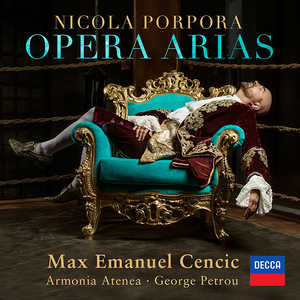 Following a recent Grammy nomination and the release of Porpora's Germanico in Germanica with Julia Lezhneva, countertenor Max Emanuel Cencic presents Nicola Porpora: Opera Arias to commemorate the 250th anniversary of the Baroque composer's death. Featuring seven world premiere recordings, this album will be released on March 2, the day before the anniversary on March 3. KCRW: Los Angeles, Rhythm Planet eclectic playlist this week features a crop of new releases Croatian countertenor Max Emanuel Cencic follows with an Italian baroque aria sung with his typical bravado and poise. I think even Liberace would pale in comparison to Cencic's sartorial splendor. But don't let that distract from the fact that he is a world-class performer of operatic arias. We next feature a track from the late Jóhann Jóhannsson's very first record from way back in 2002, Englabörn, in a remastered 2018 release from Deutsche Grammaphon. 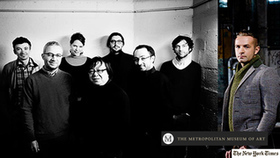 The music was originally commissioned for a play by Hávar Sigurjánsson, and the double-CD also includes outtakes plus reworks by Jóhannsson, Ryuichi Sakamoto, and others. We hear the short and haunting "Krókódíll."